Posted April 10, 2019 by argus & filed under Sales. Commerce, OK – Larry Goldman, CCIM and Jared Jones, CCIM represented National Loan Investors, a well-established buyer of discounted mortgages, based in Oklahoma City in their sale of Freedom Storage. Costa Holdings I, LLC acquired Freedom Storage, located in the Commerce/Miami Oklahoma metro area, from National Loan Investors, L P. Costa Holdings will upgrade this value-add opportunity to optimize the facility’s financial performance and take advantage of the facility’s excellent visibility and unique positioning in the market. The sale closed in the final days of February 2019. Larry Goldman, CCIM is the Argus Self Storage Sales Network broker affiliate representing Kansas, Missouri, Arkansas and Southern Illinois. He can be reached at 913-707-9030. Based in Denver, Colorado, the Argus Self Storage Sales Network (ASSSN) was formed in 1994 to assist owners and investors of self-storage with their real estate needs. Through the years, Argus has assembled a network of real estate brokers experienced in self-storage and income property investments. Now the largest self-storage brokerage network in the United States, the ASSSN has 38 Broker Affiliates covering nearly 40 markets and a total self-storage transaction history of over $2 Billion. These brokers are able to meet the needs of self-storage investors and owners whether it is acting as a buyer’s agent or listing and marketing a property. 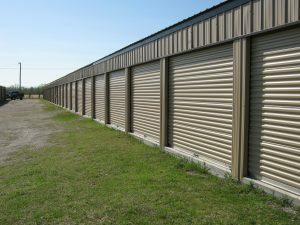 For more information call 1-800-55-STORE or visit www.argus-selfstorage.com.